Publics around the world disagree about which is more important to emphasize in school: creative thinking or basic academic skills and discipline. Here are four key findings about educational preferences from a 2016 Pew Research Center survey of 19 countries. 1Publics in advanced economies prefer creative education more than people in emerging economies do. Among advanced economies, half or more in six of the 14 countries surveyed said it is more important that schools teach students to be creative and think independently than to teach students basic academic skills and encourage discipline. By comparison, in all five of the emerging economies included in the survey, fewer than half said the same. Among advanced economies, Americans are in the middle of the pack: 48% support education that emphasizes creative and independent thinking and 42% prefer to prioritize basic academic skills. 2In most advanced economies, educational preferences are an ideological issue. 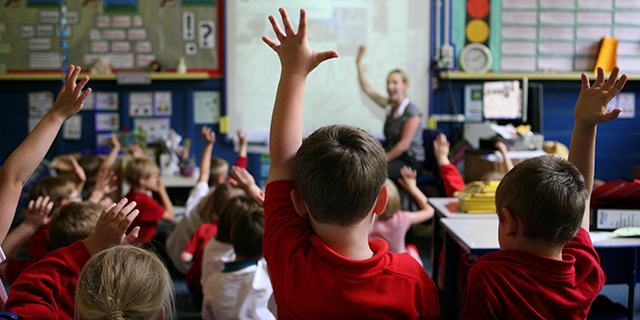 In much of Western Europe, North America and Australia, there are significant differences in how those on the political left and right believe children should be taught. Those on the left tend to prefer that schools focus on teaching creative and independent thinking while those on the right tend to value academic skills and discipline more. The gap is especially large in the United States, where liberals (67%) are twice as likely as conservatives (33%) to favor education that emphasizes independent thinking. 3Younger people in most advanced economies are the most supportive of education that emphasizes creative and independent thinking. The difference is largest in France, where 53% of those ages 18 to 34 say creative education is more important than teaching basic skills, compared with 29% of those 50 and older. In the U.S., the difference between these same groups is 17 points. China stands out as the only emerging country surveyed that has the same age-related patterns. Differences by age are more consistent across countries and are starker than differences by gender, income or even educational attainment. 4 The Chinese public stands out from others surveyed in saying they prefer teaching both sets of skills. More than a quarter of Chinese volunteer that schools should emphasize both creative thinking and basic skills and discipline. This may be due in part to their educational system’s reliance on standardized testing (the gaokao). While rote memorization and discipline are seen as keys for success on this future-defining exam, there is much handwringing domestically about how gaokao preparation comes at the expense of more creative opportunities. Younger, wealthier and better educated Chinese are particularly likely to prioritize imagination and creativity in the classroom. Note: See here for topline results, economic categorization information and methodology.